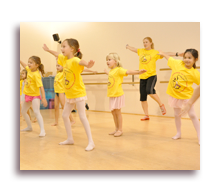 Summer Dance Camps are a terrific way for your child to experience dance in a fun and safe atmosphere. 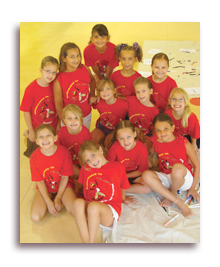 Our camps feature acting, improv, creative play, singing, dancing and so much more. Our professional adult instructors will take your dancer on an exciting journey as we offer different themes to keep them engaged each week. On the final day of each camp there will be an in-studio performance for family and friends! We invite current and new students to attend! No dance experience required! *All dancers must be 3 by June 1st, 2019 and potty-trained. We will explore the adventures our pets have when we are not at home! We’ll go on this journey with friends from the movie The Secret Life of Pets; like Max, Duke, Snowball, Gidget and many more. We’ll make sure to be on the lookout for alley cats and dog catchers. Don’t worry, we’ll make sure to make it back before our parents arrive. Join us as we travel to the adorably different town of Uglyville! A special place where weird is celebrated, strange is special and beauty is embraced as more than what simply meets the eye. Join Moxy and her closest friends as they set off to find out what’s on the other side of this cute, quaint town. Each day will be a blissful whirlwind of fun celebrating our own unique differences. This week we will travel to a wonderful fantasy land! We’ll dance across rainbows, frolic through the fields with unicorns, twirl through the forests with fairies and elves and so much more! It is sure to be a glittery week filled with mythical adventures. 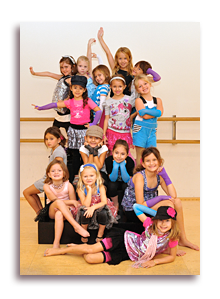 Bring your dancers to this magical week of camp! This week everyone is royalty and each day will feature songs from your favorite princesses such as Elsa, Anna, Cinderella, Pocahontas, Brave, Sophia the First, Belle and many more! It’s sure to be an enchanting week! Splish, Splash! Join us on this journey into the deep blue sea. Using the magical music from the Little Mermaid, we will dive in and explore life beneath the waves with Arielle and all her friends. During this wavy, wet and wild week, we’ll visit all things under the sea. Don’t worry, we’ll make sure to stay away from the sharks!!! 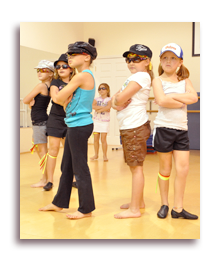 Summer Dance Camps are an exciting and action packed way for your dancer to keep moving this summer. 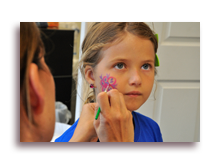 Our camps feature acting, improv, singing, dancing, designing, meeting new friends and so much more. Our professional adult instructors will take your dancer on an exciting journey as we offer different themes to keep them engaged each week. On the final day of each camp there will be an in-studio performance for family and friends! No dance experience required! We invite current and new students to attend! *These camps are geared for students entering 1st to 3rd grade. Here’s your shot at being a Star! Budding Broadway Stars will dance, act and sing their way through an exciting week of theater fun. Just like Broadway professionals, our campers will have daily classes in Broadway style Jazz and Musical Theatre. Each day will feature songs from your favorite Broadway Musicals such as Annie, Frozen, Anastasia, Aladdin and many more! Wear your biggest hair bow and join us as we dance and sing along to your favorite JoJo Siwa songs at this high-energy dance camp! 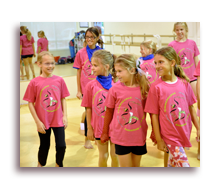 We will dance like a “Kid in a Candy Store”, make JoJo bows and learn some fun choreography! Get ready for a pretty awesome fun filled week! Please refer to our registration package in regards to Enrollment & Cancellation.